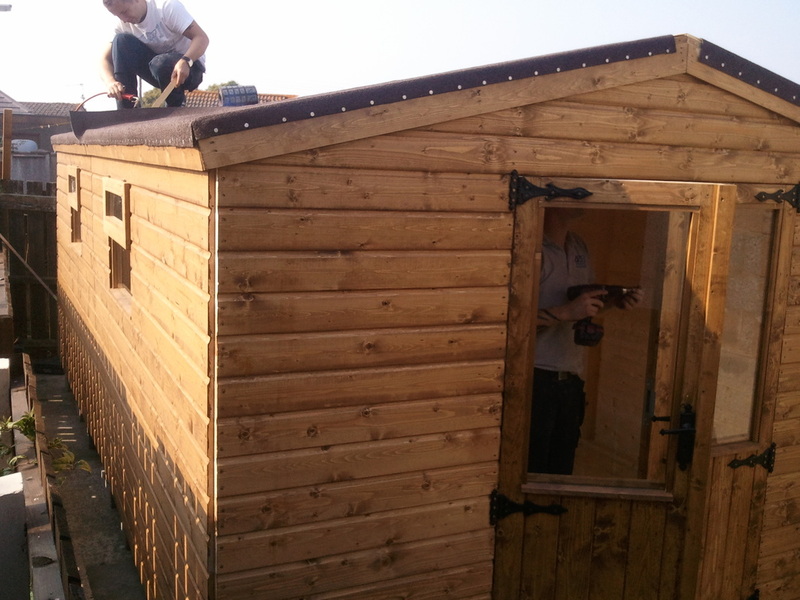 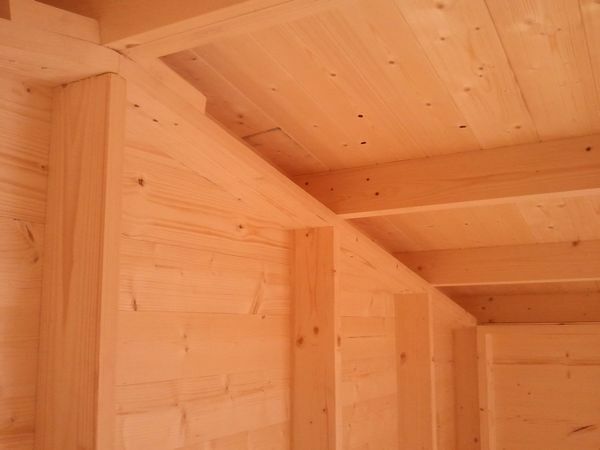 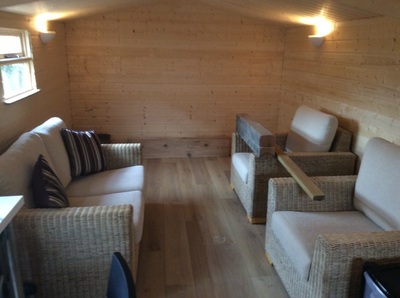 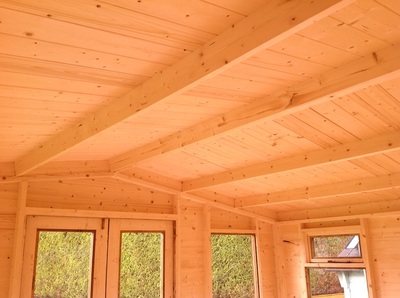 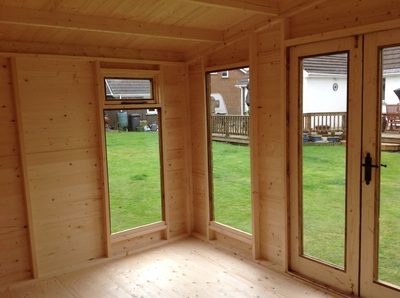 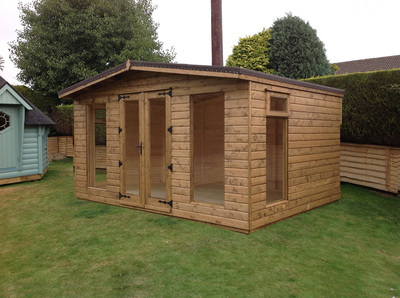 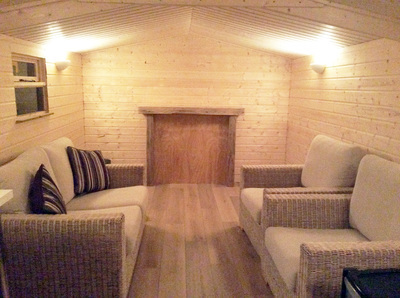 We use thicker, stronger wood with beams closer together and a roof covered by a twenty year guarantee. 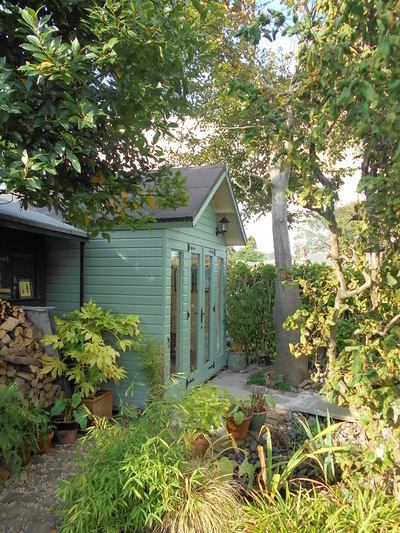 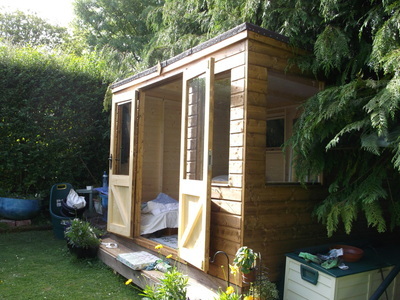 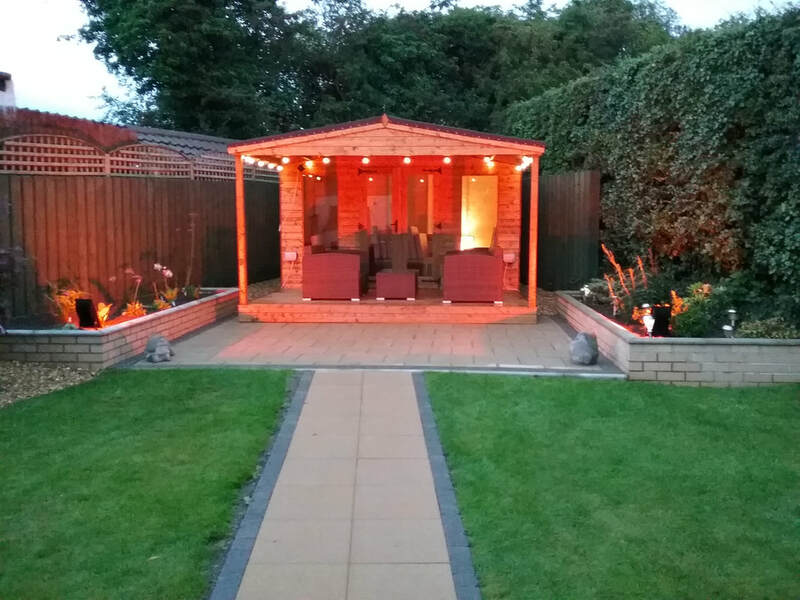 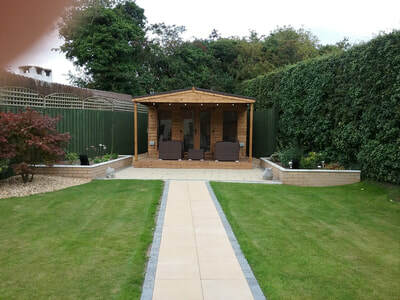 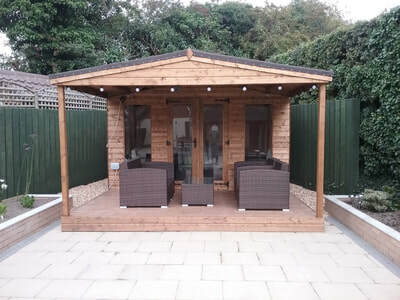 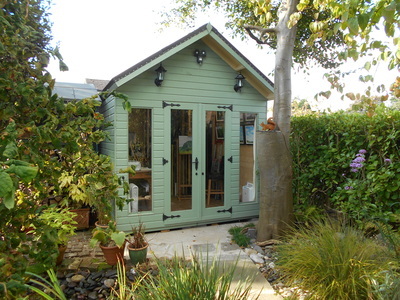 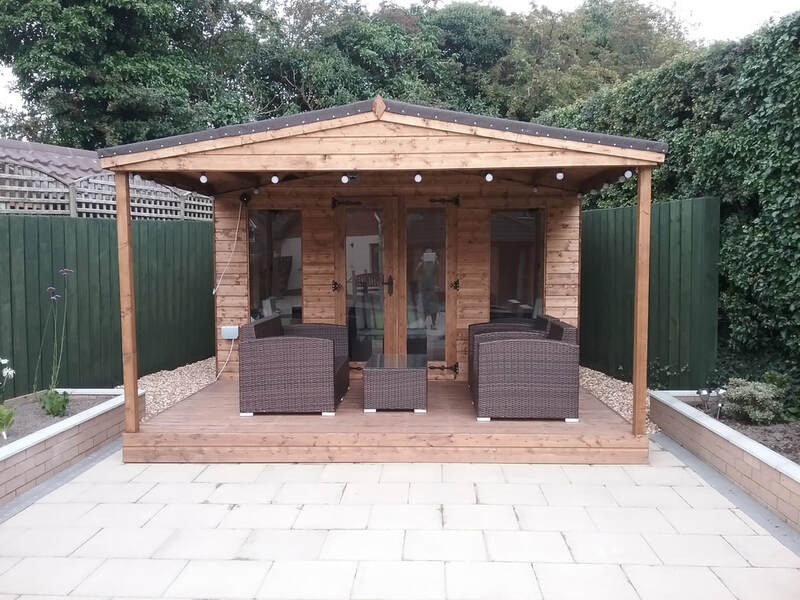 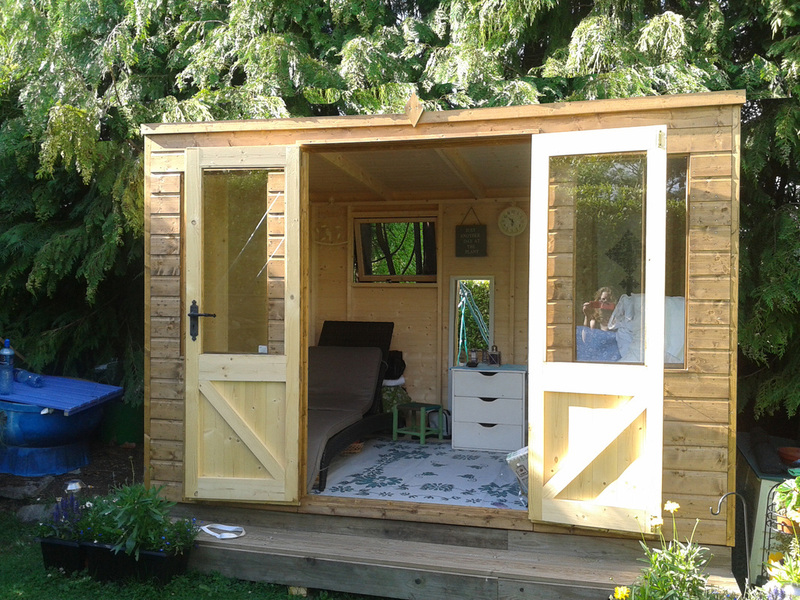 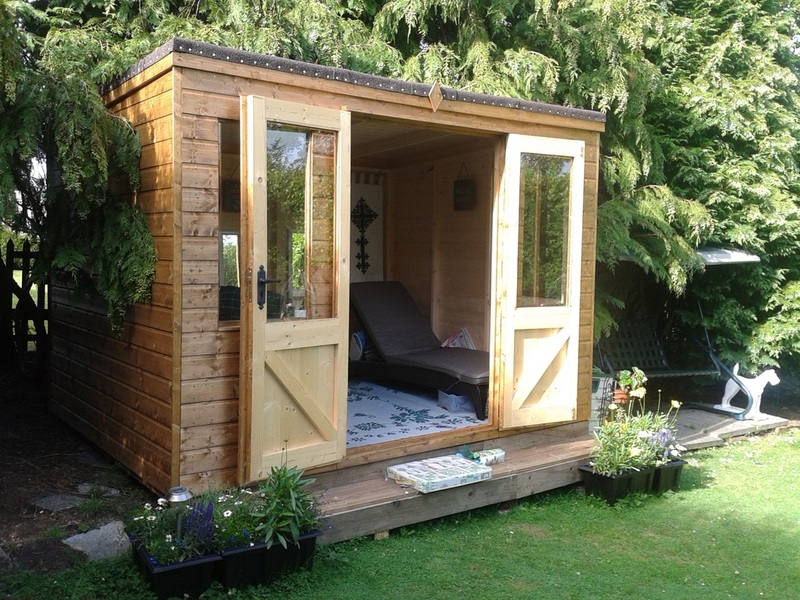 We design our summer houses specifically to withstand coastal and stormy weather, and keep a keen eye on our competitors prices to ensure no one builds a summerhouse like ours at a lower price. 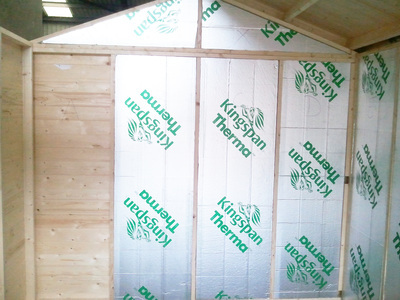 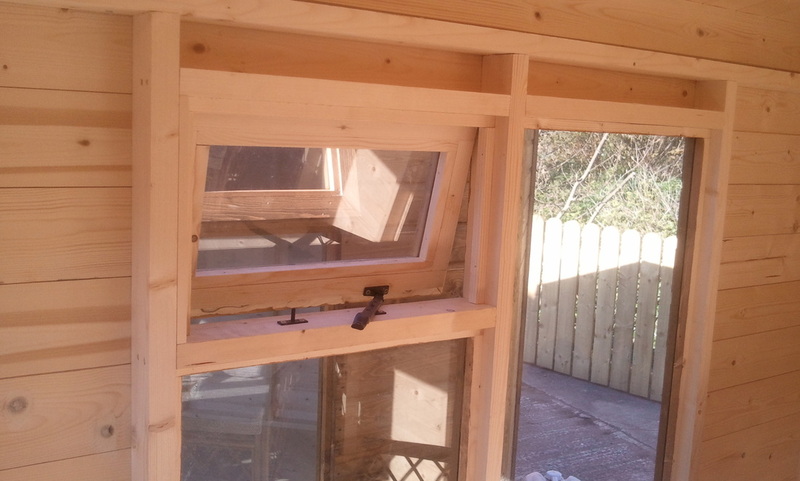 From ventilation to insulation we know the pitfalls to avoid in order to supply you with a sturdy, attractive retreat. Our approach is to ask you what you would like us to make and therefore you do not have to pay for windows and doors you may not need. 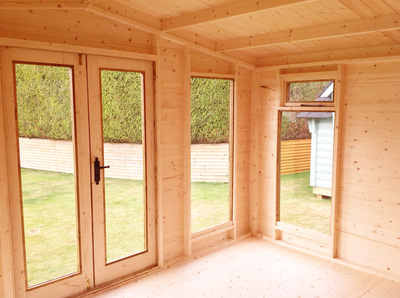 Please contact us for a friendly, no obligation quote. Above images are of the three main shapes of summerhouse however all windows, doors, roofs, overhangs and verandas are customisable.